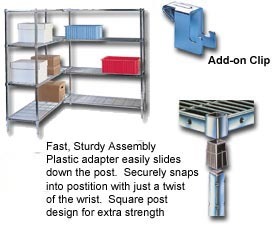 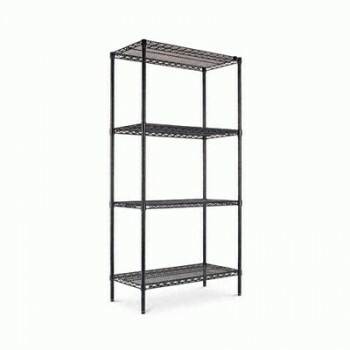 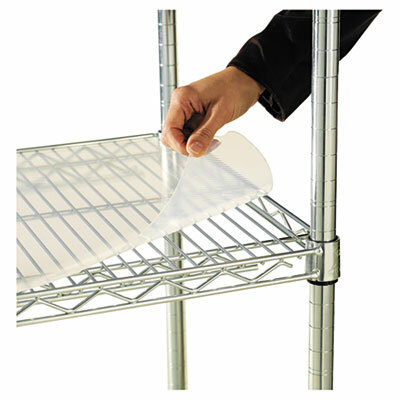 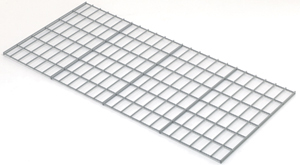 Material Handling Solutions has a large selection of industrial wire shelving. 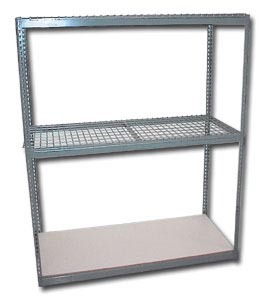 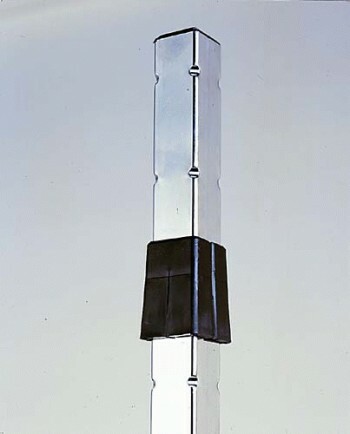 We offer a combination of shelf and post sizes to meet any applications. 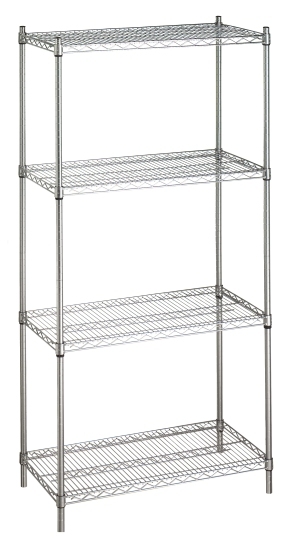 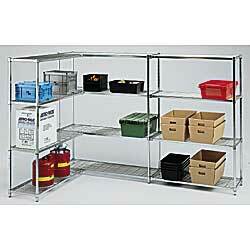 We offer chrome wire shelving and economic black wire shelving units. 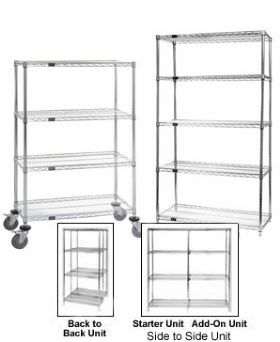 The open air design of heavy duty wire shelving and bright finish allows for cleanliness and minimizes dirt and dust build-up. 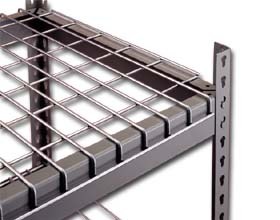 It also reduces fire hazardous increasing sprinkler effectiveness by allowing water to flow down to the source of the fire. 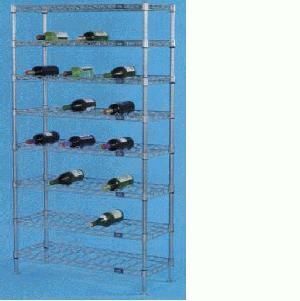 Its great for wire display racks. 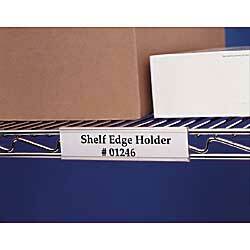 The chrome finish improves lighting providing increased visibility making merchandise on shelves easier to see. 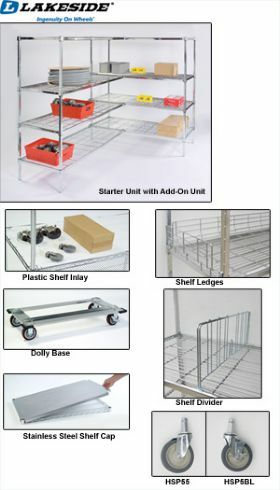 Add-on units and extra shelving are available so you can create a unit that will solve your personal storage requirements. 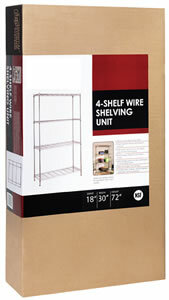 We also have double sided hopper bins available as complete packages for our wire shelving. 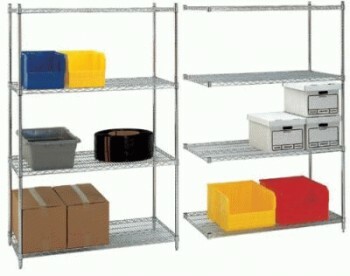 The bins are available in 6 sizes and 6 different colors. 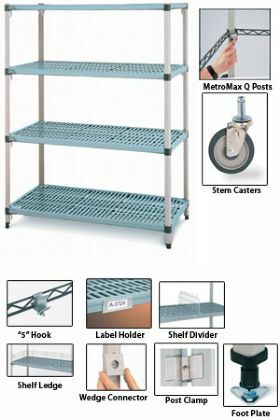 600 - 800 lbs per shelf cap. 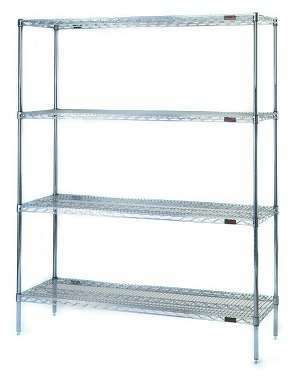 Stocked! 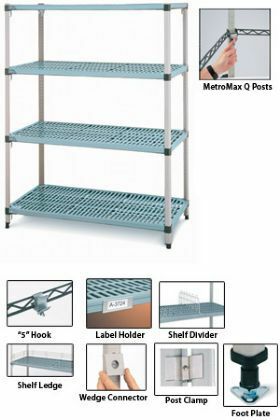 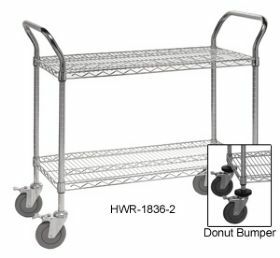 Heavy duty 1000 lbs per shelf capacity!